The White Stripe's new solo album is a blast, even without the bells and whistles of the deluxe vinyl version. 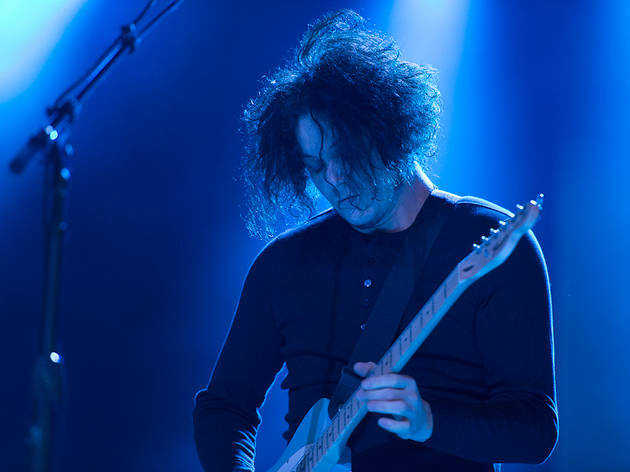 Super-fans who share Jack White’s fetish for vinyl might consider this review void from the off: We listened to his second solo album in digital form, which for some would be like contemplating the Sistine Chapel on a gift shop mouse pad. To fully appreciate the man and his genius, they’d say, we should have got our hands on the limited edition "Ultra LP": the one with the hidden tracks underneath the label, the alternate electric and acoustic intros, the locked grooves at the end of each side, and the hand-etched hologram of an angel floating in the dead wax. But there’s nothing standard about the standard version of a Jack White album. In image, business instinct and ruthless application of personal fantasy, he may have morphed into the Willy Wonka of music—he even has his own Chocolate Factory (the headquarters of his company Third Man Records) and his own glass elevator (a 1947 Voice-o-Graph recording booth). But White is a musician before he’s an analogue magician. Whether leading the garage rock recharge with the White Stripes or going all southern gothic on the blues with the Dead Weather, he’s always been king of the riff. Even German cruise ship captains know that. You just have to feel the lithe Led Zep thud of instrumental "High Ball Stepper," or hear the opening seconds of the big, buzzing and brazen title track, to know all’s well in that department. In its heavy blues-rock moments, filled with irresistible vocal licks, Lazaretto is funkier than any record named after a quarantine hospital for lepers has any right to be. A sort of companion exercise to the title track in lyrical braggadocio, "That Black Bat Licorice" finds White rap-rhyming "castrum doloris" with "Nietzsche, Freud and Horus" in a manner that invites you to snap your fingers hip-hop style rather than stroke your chin. Like White’s 2012 solo debut Blunderbuss, the rest of the album is dominated by Nashville country, with a beautiful simplicity to the melodies and an arresting depth to the lyrics. "Entitlement" is a keening pedal steel-and-mandolin affair with a grievance against the younger generation’s aversion to sweat and toil ("There are children today who are lied to, told the world is rightfully theirs… they take like Caesar and nobody cares"), while "Temporary Ground" is a duet with Lillie Mae Rische, whose sliding fiddle underscores a haunting existentialist lyric about how God has well and truly left humanity hanging on drifting continental shifts. White once said that he likes to make things tricky for himself—and we suspect he wasn’t just referring to the White Stripes’ restrictive musical template, or his solo-career practice of touring with separate male and female backing bands. If you want an easy life, you don’t accuse the Black Keys of being blues copyists just before you release an album peppered with nods to the likes of Howlin’ Wolf, Stick McGhee and Bo Diddley, and with an opening track that’s essentially a Blind Willie McTell rewrite: the Hammond-stoked and piano-rattled "Three Women." That song, a banger of a song about choosing between three women ("red, blonde and brunette"), is also a curious choice if you don’t want to stir up the accusations of sexism that accompanied Blunderbuss. "Now I know what you’re thinking: What gives you the right? Well these women must be getting something 'cause they come and see me every night," White yelps, as the guitar stutters and organ sprays suddenly suggest someone shooting themselves very deliberately in the foot. But for an artist creating an increasingly difficult job for himself, White goes consistently easy on his listeners. If you want to know how to enjoy the Ultra LP version of Lazaretto, we refer you to the recent Shopping Channel-style demonstration video. 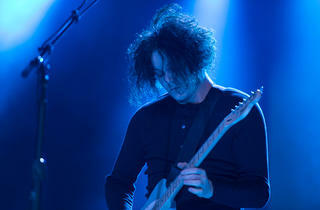 But you’ll find all the real genius of Jack White on the standard version of the album. All you need do with that is play it loud.